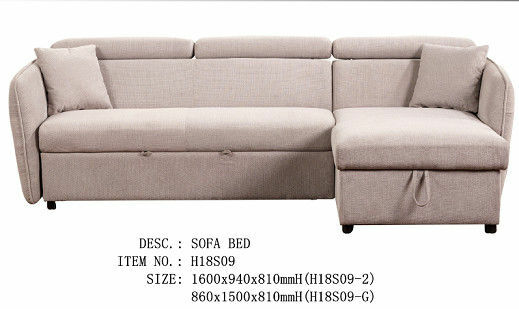 This is a functional sofa,it has storage in the chaise part,it can save space when people use it to store goods,it is suitable for small house and apartment. And we get so many orders for this model. If you don't like this color,we have other fabric samples for your checking. 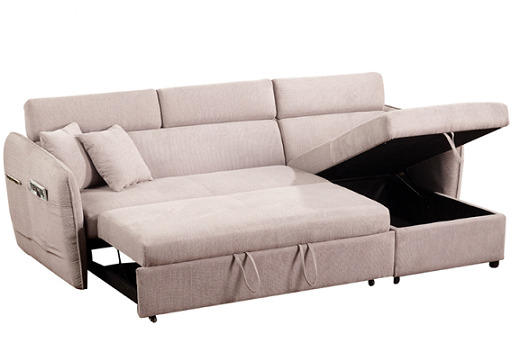 ①Royal is leader in furniture industry; our company has competitive capacity to compete with other suppliers,we are a good performance organization with heart and soul. all our business partners with world-class service. What's more, Royal is listed company in Hong Kong since 2002. ③We have very good after-sales service and technical support.We have our own quality system,ervery part of production has QC checking,from material purchasing to packing. ④We have ERP system for management and production arrangement.When we receive an order,we will use our ERP system to do production order,then the order will send to factory,they receive the order then arrange production.We use this system to record the details and ervery step of this order until we finishing loading.